Based on over a decade of research, KIBO is a developmentally appropriate, no-screen coding platform for young children. 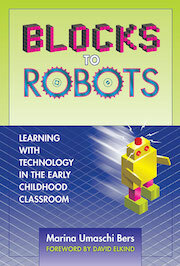 Children as young as five years old can program interactive stories and games on the ScratchJr app. Welcome to the DevTech Research Group! 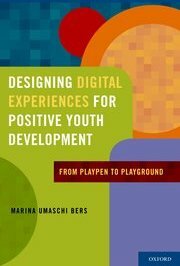 The Developmental Technologies Research Group, directed by Prof. Marina Umaschi Bers at the Eliot-Pearson Department of Child Study and Human Development, Tufts University, aims to understand how new technologies that engage in coding, robotics and making, can play a positive role in children’s development and learning. Our research involves three dimensions: theoretical contributions, design of new technologies, and empirical work to test and evaluate the theory and the technologies. We create programming languages such as KIBO and ScratchJr as well as teaching materials and pedagogical strategies for the professional development of early childhood educators and community engagement. Our long-time commitment is to inspire sustainable and scalable evidence-based programs for young children that promote the learning of programming and computational thinking with a playful, developmentally appropriate approach. 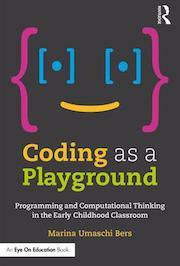 This approach can be found in Marina Bers’ book Coding as a Playground: Programming and Computational Thinking in the Early Childhood Classroom, or in any of her past books shown below.